Tuesday morning, the operator of the electricity transmission grid for most of Texas said that a power watch is in effect and that conservation measures are still needed. The spokesperson for the Electric Reliability Council of Texas, Robbie Searcy tells NBC5, "We still have a conservation alert in place, but it currently appears there is sufficient generation available to serve expected demand." 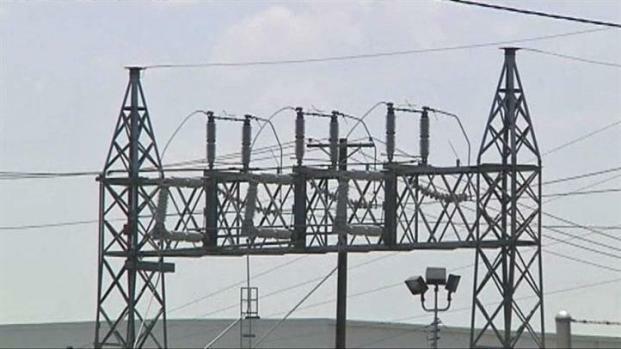 The alert by the Electric Reliability Council of Texas followed an earlier one in which ERCOT said that due to the risk of outages throughout Texas, rolling blackouts would be necessary unless consumers reduced their use of electricity. ERCOT then modified its warning, saying the system was recovering and that blackouts were no longer being considered. The Electric Reliability Council of Texas is asking everyone to conserve energy to avoid rolling power outages as the electricity demand peaks across North Texas. Council of Texas. ERCOT spokeswoman Robbie Searcy said frigid temperatures across much of the state resulted in high electricity use. She said ERCOT was operating late Monday morning at an ideal level of just above 2,300 megawatts, which is the difference between what is being consumed and the amount that's being generated for deployment across the system. But problems with high electricity use were compounded by the failure of two power plants. Dan Woodfin, director of system operations for ERCOT, said the plants are in north-central Texas and were affected by temperatures that froze instrumentation. He declined to say where the plants are located. Monday's peak electricity demand wasn't a record but power plant failures has the Electric Reliability Council of Texas asking everyone to conserve electricity to avoid rolling power outages. Woodfin said demand was being met with a surplus until around 3,700 MW of generating capacity was lost to several power plant failures. Woodfin said if one other plant had shut down, rolling blackouts would have been necessary. 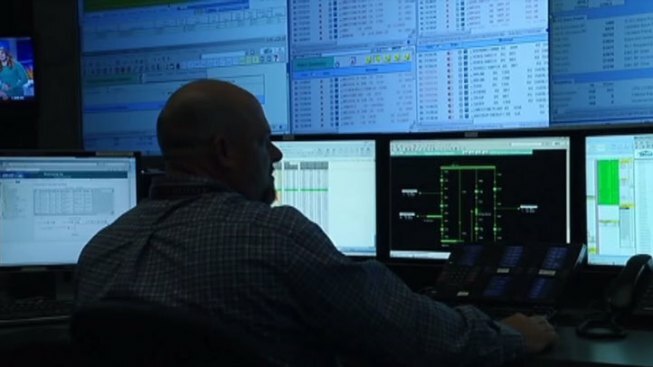 He compared the grid problems Monday to February 2011, when a wintry blast brought snow and ice to much of the state and crippled North Texas in the days leading up to the Super Bowl at Cowboys Stadium. "The fact that we had only a couple of units go down (Monday) shows that we had considerable improvements," he said. “It appears both of them were related to freezing of some of their instrumentation,” Woodfin said. The agency moved through Energy Emergency Alert levels 1 and 2 where conservation and usage reductions are requested but avoided level 3 where black outs are imposed. Since then Woodfin said ERCOT has worked with power generators to improve reliability in extreme weather situations. The Texas system pays providers more for electricity in peak demand so there is incentive for them to perform. Woodfin said companies were warned to be prepared for this cold weather event and will be advised again to expect cold weather overnight. “We’re expecting that demand to be similar to what we saw today and so we’ll need all the generation to stay up for tomorrow morning’s peak as well,” Woodfin said. Still officials are asking even smaller customers to conserve. ERCOT imported about 800 megawatts of power from the eastern U.S. and another 180 megawatts from Mexico to augment the supply for Texas on Monday, he said. ERCOT is telling power generators to avoid shutdowns for maintenance or other reasons so that the system can meet demand into Tuesday. With cold temperatures to remain through Tuesday morning, ERCOT is asking consumers "to stay mindful of those conditions," Searcy said, urging conservation measures that include keeping thermostats as low as possible. National Weather Service meteorologist Gary Skwira, in Lubbock, said the cold snap is part of the same weather system that's brought severe cold to the upper Midwest and elsewhere. Skwira said Lubbock was at 7 degrees early Monday while some Panhandle towns had temperatures hovering at 0. It was slightly warmer in North Texas with temps generally in the teens, while South Texas had lows in the 40s. As of 9:37 p.m. on Monday, ONCOR stated that 50 customers were without power across North Texas. The cause is believed to be related to a transformer issue. NBC 5's Ken Kalthoff and Eric King contributed to this report.